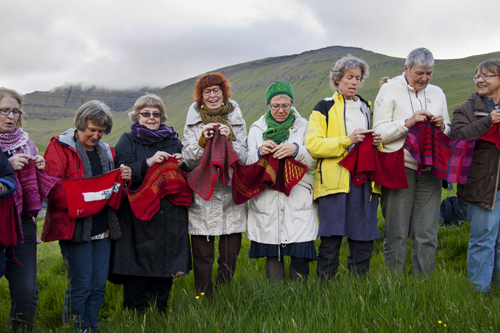 On the evening of 6 July 2011 the artperformance "Owning our own time", was taking place in the small village Gjógv on the Faroe Islands with 80 knitters from Nordic knitting symposium. 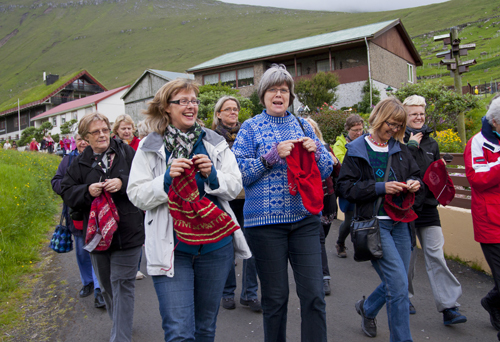 The participants marched through the village to gather on a beautiful meadow by the sea. At the front of this last picture, with the black bag, you can see Handicraft Consultant Ulrika Bos-Kerttu from County Museum of Västernorrland. She has been one of the main organizers of the project. 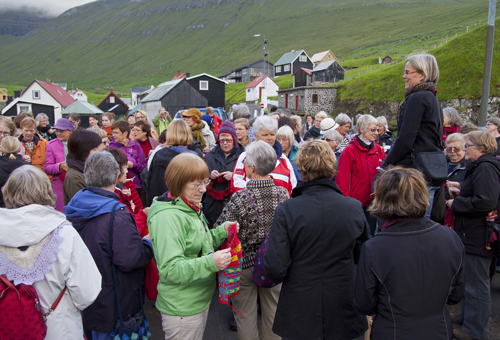 The performance also included the accordionist Knut Olsen and about 20 Faroese singers / dancers. 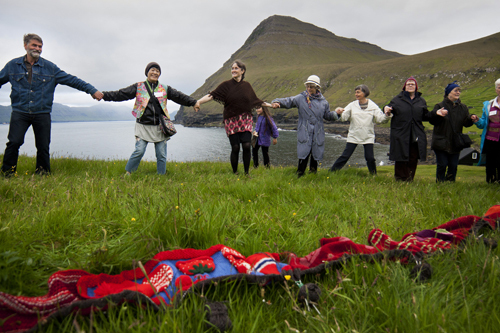 They showed their native dance in the middle of the knitting circle. It all ended with everyone dancing together. 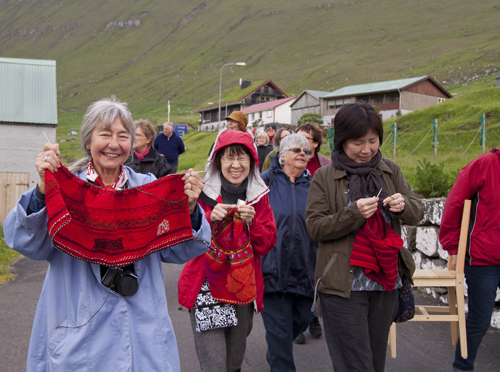 During the performance the participants knitted together their beautiful red pieces into a single monumental knitting. 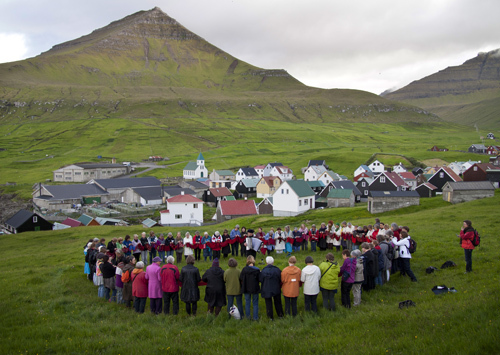 One way to materialize this common time and experience in the Faroe Islands.